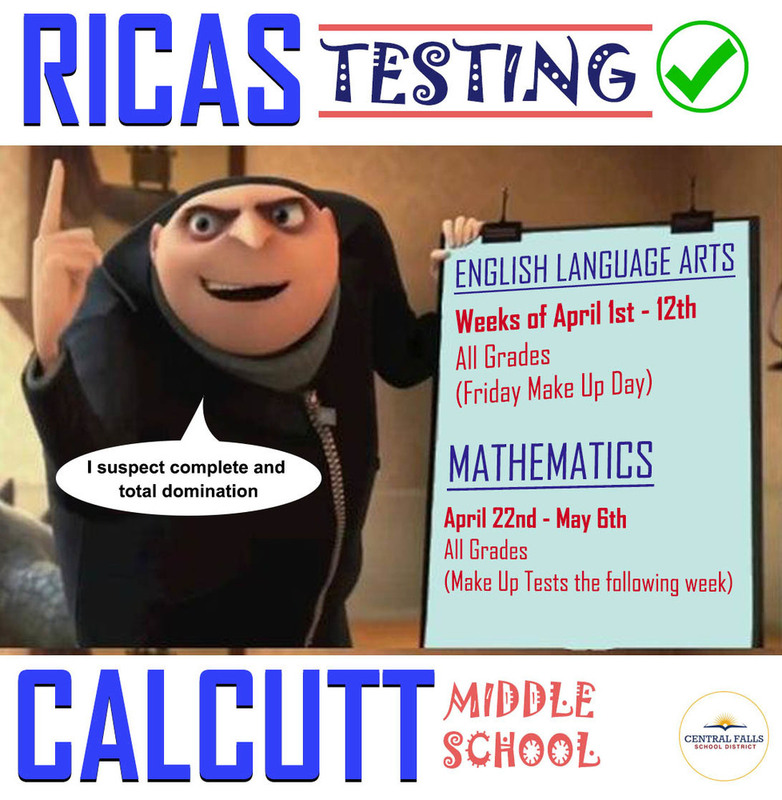 With over 100 of our students scoring a perfect 100 on the RICAS pre-exams, we are FIRED UP and ready to roll next week. Let's GO! Check out our calendar below and videos on what your student should not bring to school during testing.